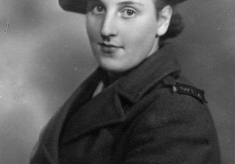 A studio portrait photograph of Edna in her Land Army uniform during her posting at Bottesford during WW2, c.1940. 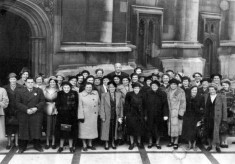 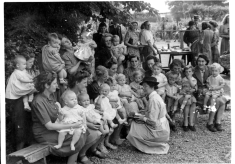 Group photographs at meetings of the Women’s Institute and other occasions, including one taken during a WI visit to the Houses of Parliament, and pictures of Bottesford people. 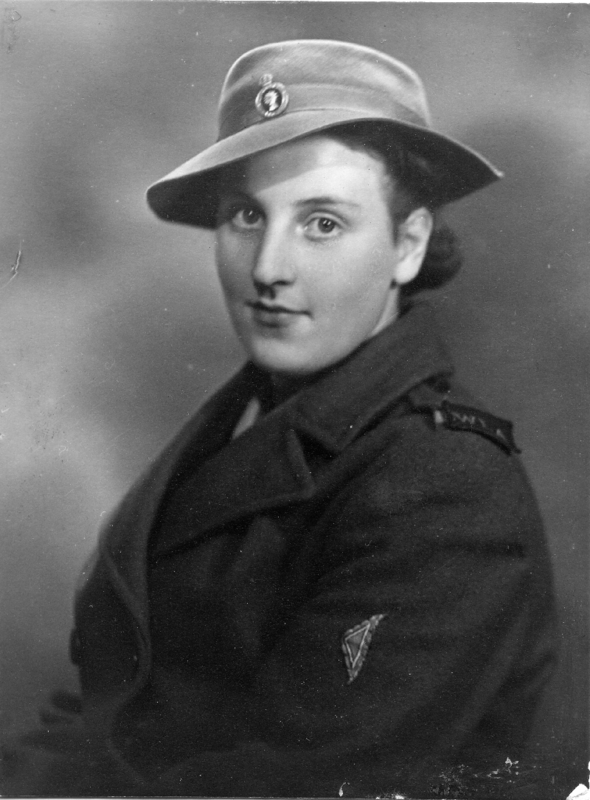 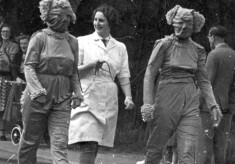 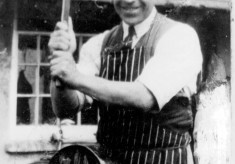 There is also a photograph of Edna when she was a Land Army Girl at Bottesford during the Second World War. 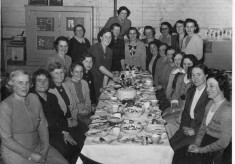 Members of the thriving Mother’s Union enjoying a dinner in the village school. 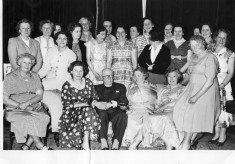 WI 1975 Christmas Party: Old VC Hall, Belvoir Road, Bottesford. 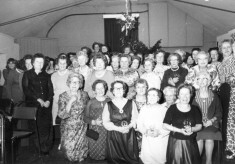 This picture is of the WI Christmas Party taken in 1975 inside the old VC Village Hall. 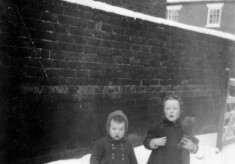 Two children, Mrs Taylor’s, playing in the streets of a wintery Bottesford, enjoying themselves. 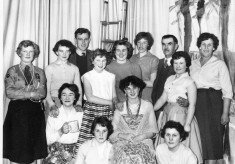 Item: WI 1975 Christmas Party: Old VC Hall, Belvoir Road, Bottesford.